Omari is the CEO of Tech Era, an Accra-based social enterprise which seeks to empower people with disabilities to become independent and employable through the use of technology. He originally set up the enterprise in his second year at college, focusing on children in rural areas. A year later, Omari met Isaac Ansah. 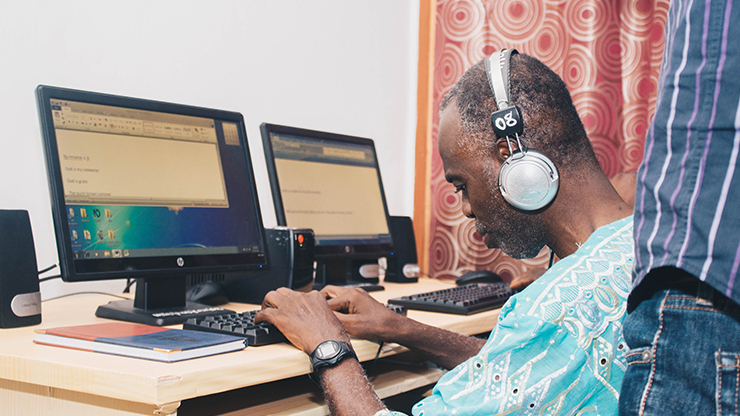 Ansah is visually impaired, and his adapted smartphone has changed his life. “I began using one in 2010,” Ansah explains. “It’s a normal model, the type everyone uses, with the only difference in the voiceover function. I just switch that on, and then it communicates with me wherever I am. Omari decided to take the business down this route, recruiting college students and training them to create affordable assistive technologies and to support people with disabilities to use these and other technologies. 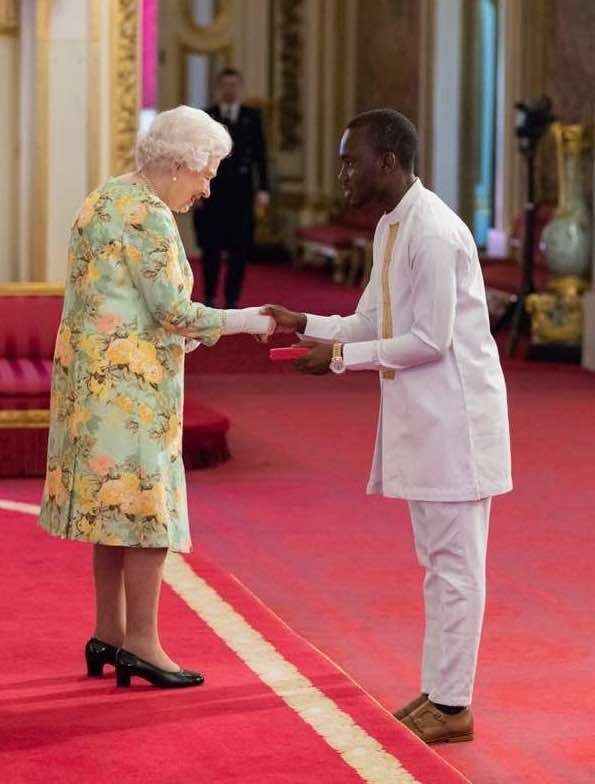 The success of the enterprise has been recognised internationally, with Omari presented with a Queen’s Young Leader Award (below), a Commonwealth programme of awards headed by Queen Elizabeth II, in recognition of his work boosting IT literacy in Ghana. The assistive technologies that Tech Era uses include, for instance, 3D aids to enable students with visual impairments learn mathematics and science, and training for visually impaired university students to use technology to improve their academic performance. 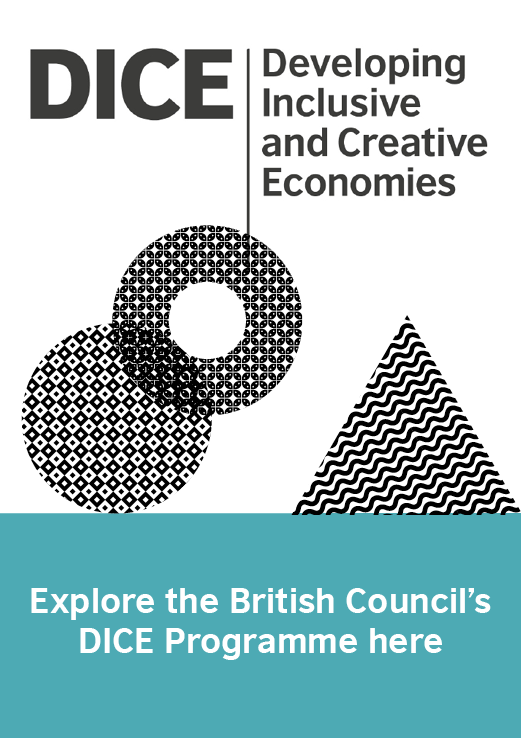 He and his colleagues are also talking directly to employers, including at a careers fair organised by the Ghana Federation of Disability Organisations, the British Council and the UK government’s Department for International Development in December 2018. 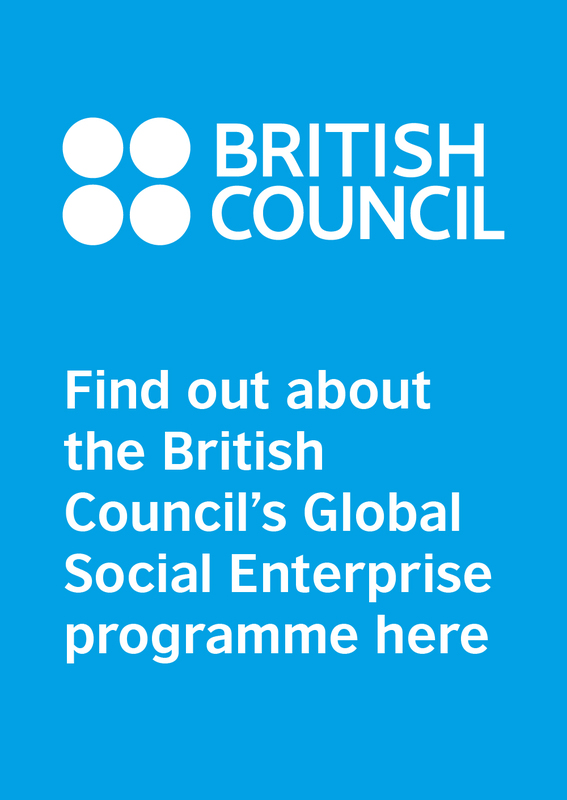 At this event, Omari took part in a panel of experts, including private sector employers, human resource firms, government representatives and organisations representing disabled people, to discuss the factors that employers need to consider when employing people with disabilities – and the benefits of doing so. “I spoke about the role of assistive technologies in facilitating the success of employees who are disabled, irrespective of their disability,” he explains. “As part of this, I emphasised how assistive technology has made it less costly to employ people with disabilities as well as empowering those employees to do things we thought were unimaginable. “When I went to university I was using Braille, which meant my life was in the hands of the transcriber,” Ansah, who is the inclusion advocate at Tech Era, concludes. “If I had used a computer earlier, I would have done better; I would have got a first-class education. Imagine if we can train more blind people, and we are able to prove to the whole nation that, yes, we can do this. It will remove the doubts about our abilities, and remove the stigma of blindness. And we will be able to achieve so much more.